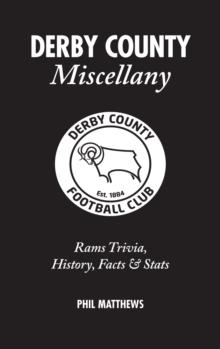 Derby County On This Day revisits all the most magical and memorable moments from the club's rollercoaster past, mixing in a maelstrom of quirky anecdotes and legendary characters to produce an irresistibly dippable Rams diary - with an entry for every day of the year. 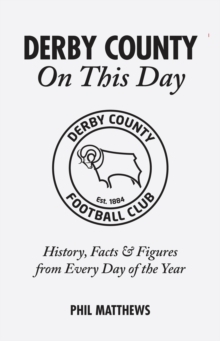 From the club's formation in 1884 through to the Premier League era, the black-and-white faithful have witnessed Football League and Cup triumphs, hard-fought derby matches, European adventures and heartbreak - all featured here. Timeless greats such as Dave Mackay, Jackie Stamps and Steve Bloomer, Kevin Hector, Stefanio Eranio and Charlie George all loom larger than life. 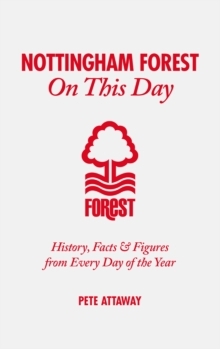 Revisit 29 March 1975, when Roger Davies scored all five against Luton (and had two disallowed). 1 June 1967: the arrival of young boss Brian Clough from Hartlepools United. And 28 April 1996: when a Robin Van der Laan goal pipped visitors Palace to automatic promotion to the Premier League.